The Gilthead. NOT guilthead! Named for the gold stripe on the forehead hence ‘gilt’. An infrequent visitor to our waters with an obsessive spearfishing following. Sometimes called the ‘Golden One’ this is perhaps out most prized target and many spearos strive to encounter one of these elusive fish. The current British Record for Gilthead is 3.34 Kg, held by Crystal Vis’ very own Titus. The fish grow much bigger than this however and some 15lb plus fish were seen this year off Portland. The Giltheads seem to favour the South Coast. Specimens have been seen off the Dorset Coast and as far West as the Eddystone. They are natives of the Mediterranean so presumably come here for a holiday. Giltheads are very difficult fish. They favour deep water and flat bottoms with little or no cover. 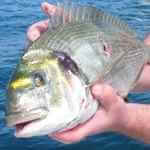 They will often be seen hanging behind a shoal of black bream, being even more cautious. Giltheads are fast moving, powerful and very nervous. We have rarely encountered them in depths less than 20m. Our approach to Giltheads is one of firepower and great depth! 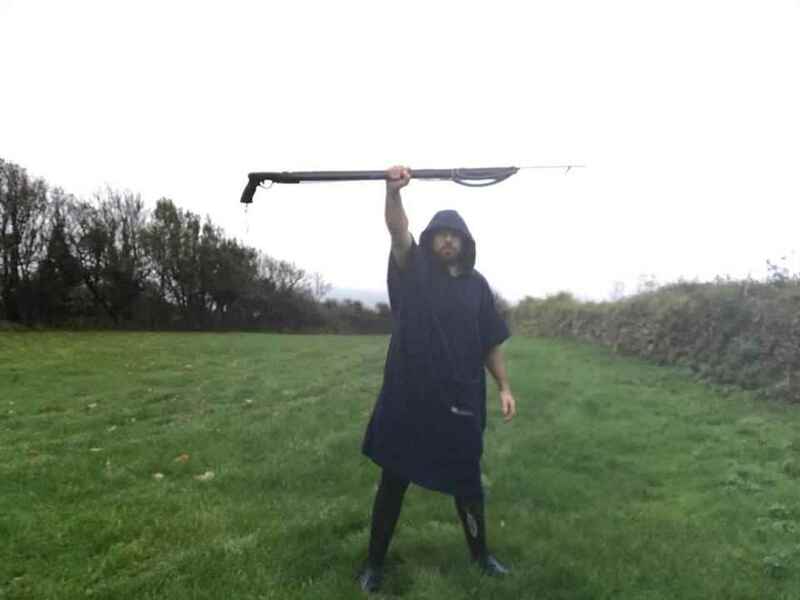 A powerful fish that will never come close demands a powerful gun. Our Giltheads were caught with guns 110-140cm. A dive to 20m+ on the mussle beds may just produce a fleeting sighting of a Gilthead. A long range shot is the best approach as it is unsafe to hang around too long at these depths. Do not dive beyond your competence in search of these fish.